In every 6 years, ARDHAKUMBH and in every 12 years MAHAKUMBH take places. Let me describe the Prayag Ardh Kumbh 2019. This event biggest ever event we seen in our life. Where the largest event production is installed in all kinds. Sound system, LED Wall, German hangers, pagoda, lightnings are used at a very huge level. More than 1 lac temporary toilets are installed with more than 30000 housekeeping staff are deployed. Total 1400 CCTV Camera is used to manage the security system and random head counting of attending s. Approx 200 km of temporary roads constructed by steel plates. Tin sheets are used to divide sectors and plotting. Largest ever electrification and water supply installation has done to provide free electricity and water supply. 4 stages which are made by the Culture department and Sanskar Bharti to entertain people where artist from all over India are performing every day and there is no ticket for all these cultural shows. These are German hanger made waterproof structures with sound systems like RCF HDL-20, RCF TTL-55, JBL VERTEC 4888, are installed. More than 500 local sound service providers are giving their services to different Vedic organisations. Some audiovisual service provider from Delhi, Mumbai are here to provide quality services. LED Walls and sound systems are commenced around the city and Fair area for communication and information. Installation of more than 40,000 LED bulbs has done for common area lighting. UNESCO has listed this devotee festival and Mela in the list of 'Intangible Cultural Heritage of Humanity of the world. 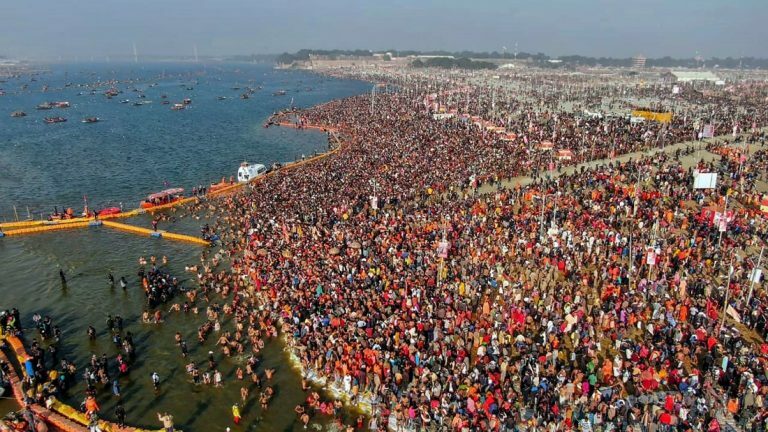 10 crore SMS has been sent to citizens/attendees in three times, providing information on various aspects and facilities available for Kumbh Prayagraj. More than 4000 hotspots are being set up across the Mela area for providing high-speed Wi-Fi for all pilgrims and visitors. In Kumbh 95 parking spots are constructed and About 18 satellite parking has been built. Special attention will be taken to facilitate the devotees. Luggage deposit houses were built to keep things etc. All the large scale tent houses and event production companies near Allahabad, Lucknow, Kanpur, Delhi NCR, Mumbai, Varanasi, are working in this festival. There is more than 10 tent city are made with all luxurious facilities and entertainment. 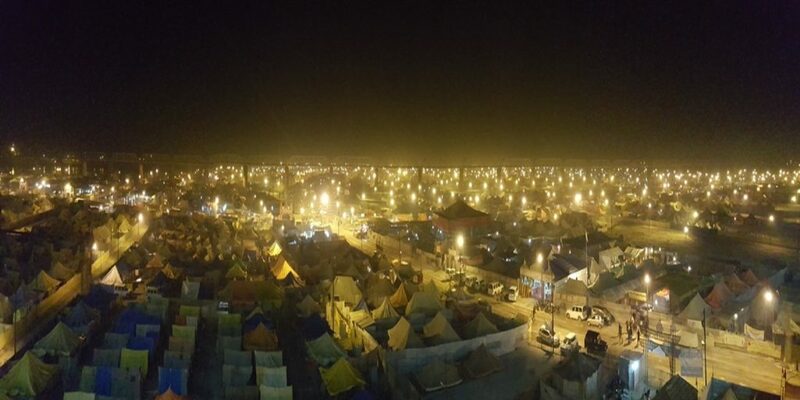 Hire4event finally rename this Kumbh as "Event City"